If you’ve broken a bone or suffered a joint injury in an auto accident or any other type of accident, you should consult an experienced personal injury trial lawyer right away about your options for pursuing compensation from the responsible party and holding them accountable. Experience a Broken Bone or Joint Injury? At Corsiglia McMahon & Allard, L.L.P. 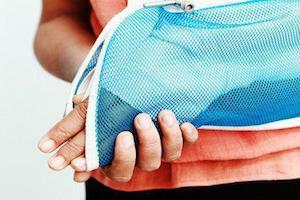 in San Jose, we help clients throughout Northern California seek fair recovery for broken bones and joint injuries. Contact us today for a free consultation with one of our respected attorneys. You will pay nothing unless we win your case. Call us at (408) 289-1417. We serve clients in many Northern California cities, including Gilroy, Santa Clara, San Jose, Cupertino and Milpitas. Injuries to the bones and joints are common in many different types of accidents, including car accidents, sports accidents and slip-and-fall accidents. These injuries can have serious, long-term consequences that can be difficult to predict when they first occur. For instance, a bone that has been shattered in an accident may take much more time and effort to heal than a more standard broken bone that can simply be set with a cast. Injuries to important joints such as the hands, elbows, wrists, hips, knees and ankles can be very painful and can take significant amounts of time to heal, limiting your ability to work or carry out other basic tasks. With an experienced nurse consultant on staff, we are able to quickly gain an understanding of our clients’ broken bones and joint injuries and the likely consequences of those injuries. We then retain qualified medical and financial specialists to help us fully develop your claims. 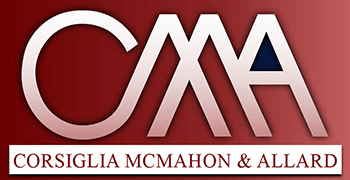 You can rely on our experienced team of attorneys and staff at Corsiglia McMahon & Allard, L.L.P. to pursue the maximum money damages you deserve for your serious bone and joint injuries. Don’t hesitate to contact us to discuss your options at (408) 289-1417.